What makes a good bee? Bees are as individual as people are: some are born leaders, some are the hardest workers you’ve ever seen, and some can seem to weather any storm. At Georgian Bay Honey, we take pride in breeding exceptional Buckfast bees that are resistant to disease, have an aversion to swarming, have an endless capacity for foraging and consistently brood in high frame counts throughout their peak season. Our bees are clean, hardy and are bred specifically for gentleness and high production rates. 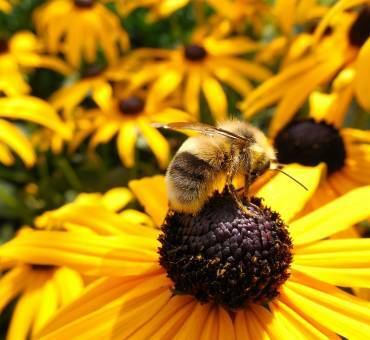 Enjoy the rewards of your own bees with exceptional honey this season! A nuc is a term given to describe a smaller colony of bees – anywhere from 1/10 to 1/6 of the size of a regular hive. 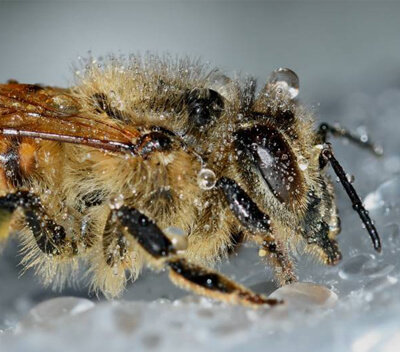 It also refers to the smaller size box and the honeybees that inhabit it, which allow the bees to control the climate of their colony to best suit brooding. A nuc is created to either prevent overcrowding of a colony, to care for spare queens, or to grow the bees into a larger colony. Our nucs are built to be approximately 1/6 of the size of a regular hive to increase the likelihood of survival. They include the outer box, 4 frames, and our prized queen cells and bees. 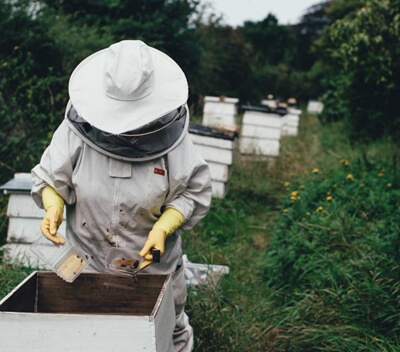 Depending on the conditions of the year, one can expect our nuc to grow into two boxes, up to 18 frames and produce 100-200lbs of honey in the first season. Queens are easily the most important component of a hive, and provide the backbone of how the colony will function and perform. Her role is to be pampered, but she carries all the genetics that make the colony a success. She is their mother, responsible for laying the eggs of every bee in the hive. In prime season, a queen can lay between 1000-2000 eggs per day! Our queens are bred so that you can have a great hive. 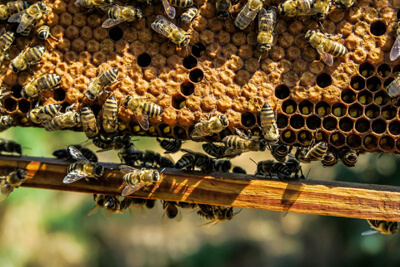 We breed our queens specifically to have the genetics for gentility, industriousness, and hardiness so that she can pass these qualities on to the rest of the hive. In prime laying season you can expect approximately 95% of the eggs she lays to hatch, providing a booming, healthy hive that is ready to work. Our queens will last between 2-3 years if taken care of properly, without the use of pesticides, and will be replaced by superseeding in a special queen cell. When you split a hive, it is necessary to graft in a queen cell in order for the hive to survive. When that doesn’t happen naturally, our queen cells are the best way to go. We rear queen cells selectively for good traits, in current hives and gently place the queen in her cup in an incubator. Then our hard working bees will plaster royal jelly all around her to help her grow into the best bee for the hive. Queens are not available all year long; for a limited time at the beginning of their season. Contact us for more information. 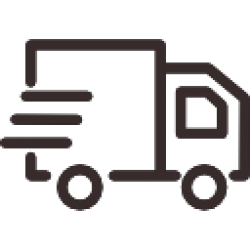 Contact us to place your order for your bees and we will ready the bees for transport. You are welcome to pick up your bees between the 2nd and 3rd week of May, though other pickup dates may vary. Please contact us to set up a specific time so that we can properly prepare the hives for transfer.